Because I had worked all day in my hot, dirt-floor garage the day before, I intended to take it easy until time to meet a friend. My friend said she’d phone after her appointment – dental, not another chemo. Just as I was setting up my shake for breakfast, I heard Kali growl. Someone was at the door. Heathcliff came back last summer for more, and I hired him for yard work. Of the three, he was the one who showed the most promise. There are all kinds of homeless people, homeless for different reasons. Heathcliff is the kind who left home to get away from his parents and who believes his lifestyle is mystical. With my experience*, I could relate: he wants to heal himself. So when he showed up yesterday, I was happy to see him and said I had some time to share, but at noon I would have to be excused because I had to get ready for a previous appointment. I invited him inside, offered him some tea, and put on the kettle. I said, “What do you want to tell me about your family?” He said he was raised by “Moonies.”* Replying to my questioning eyebrows, he explained what that meant for him, which didn’t seem compatible with his parent’s perspective. My take: he doesn’t know who he is or what he believes. Going back to the car/cabin bit, I asked if he felt safe with that man. I explained how the Inner Child is not only the part of us who likes to play, but who is the one we call on before a hypnosis journey because the Inner Child senses truth. He had nothing to say for the first time in an hour. He smelled so bad! When his tea was ready, I took it out to the porch wearing my sunhat and sunglasses. No chance he was coming back inside. My apartment is too small, not well-ventilated, and I had set the hygiene boundary the first time we met. I mentioned that I had interviewed the guy at Manna Soup Kitchen who told me about the vouchers earned for showers and gardening, etc. He said he knew about it. “Yes.” He said he would work for whatever exchange I wanted to do. Setting boundaries, I said, “Money works for me, but we’ll have to start tomorrow, preferably after 9 a.m.” He agreed. “Okay then. How do you plan to spend the rest of your day?” He said he’d go to Manna and see about the shower, etc. And then he said he’d better be going to give me space to get ready for my friend. Before we parted, I said, “Sometimes I talk too much. It’s okay for you to say ‘Got it;’ I’ll get the message.” That earned a big smile. Will the drifter with many names show up tomorrow? I’ll let you know. *A term considered to be derogatory when used as a reference to followers of the Japanese Korean, Sun Myung Moon. 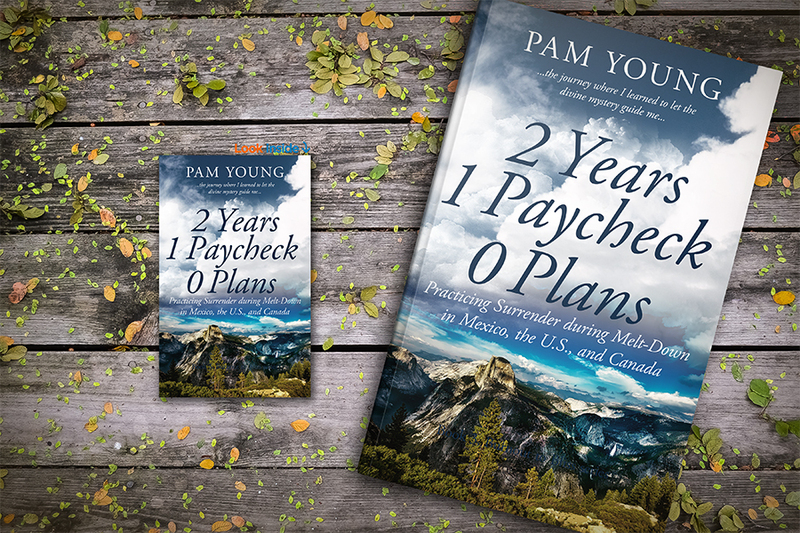 Pam journeyed for two years seeking healing from career burnout and spiritual crisis. Because she had sublet her home, she had no place to live for at least another year. In an epic leap of faith, she plunged into the unknown. This entry was posted in life, Personal Journey and tagged broken man, Christian upbringing, drifter, Heathcliff, homeless, Inner Child. Bookmark the permalink. Thanks, Rod! If he shows up, I’ll write another one. Nothing fascinates me as much as life does. Hi Daphne. Thanks for stopping by.